I actually cooked today! 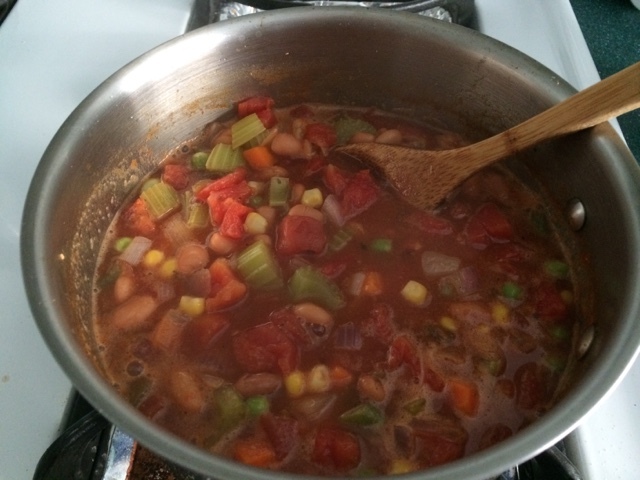 I make chili whenever I have pantry items and no produce. I used some frozen veggies for more nutrients. 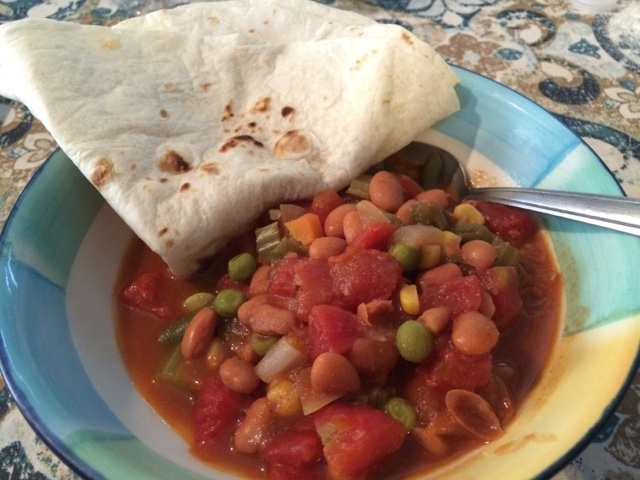 Served hot with a toasted buttered flour tortilla.